True, they look more like lionesses. 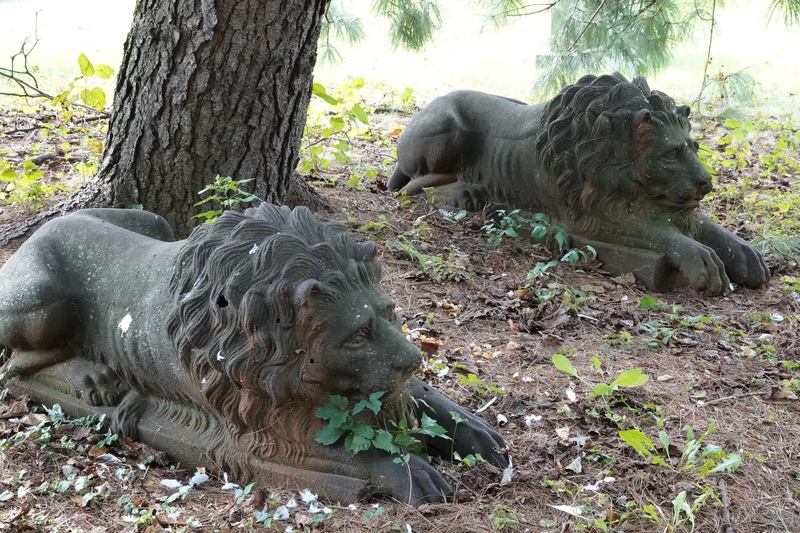 I stumbled on this in Green-Wood recently. 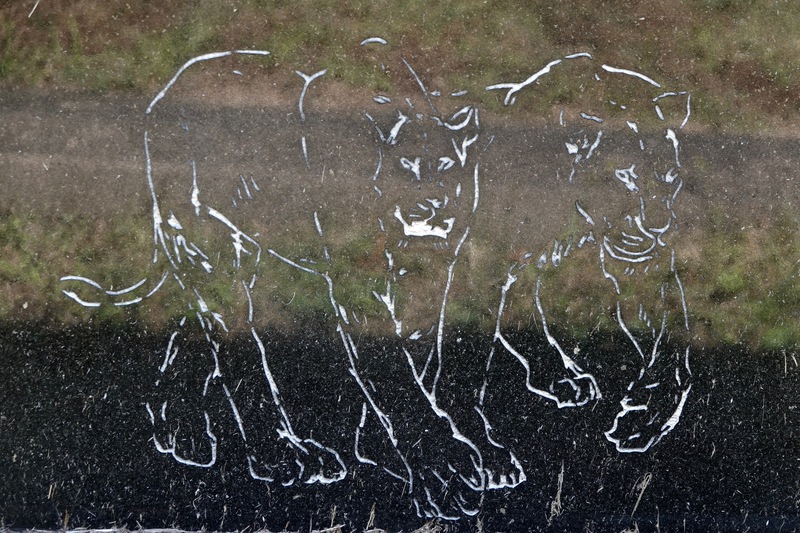 It’s on the backside of the tombstone for Leon Golub and Nancy Spero, twentieth century artists. I just happened to be passing. 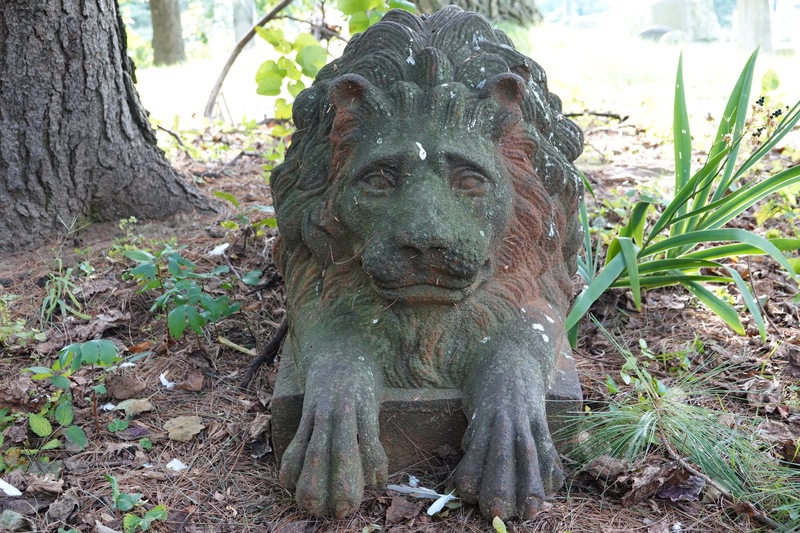 Green-Wood has more real animals than artistic representations of them. 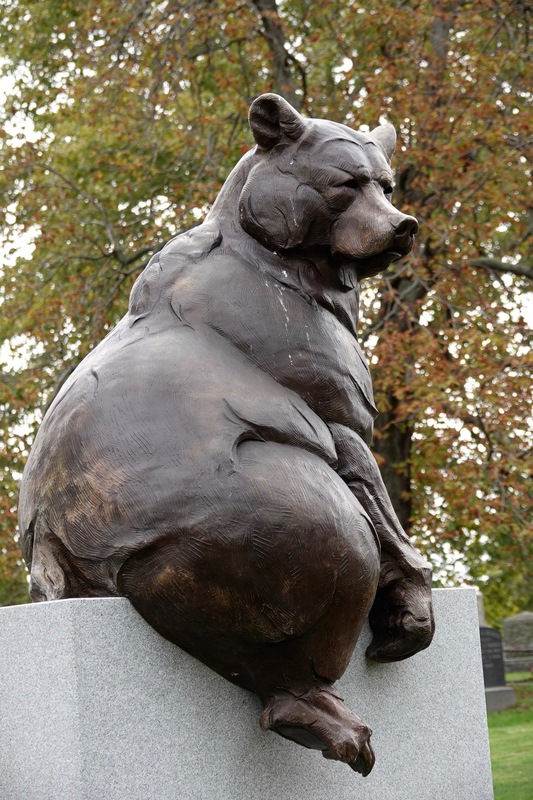 This is one of the most notable: This bear marks the gravesite of William H. Beard, a 19th century artist famed for, well, his dancing bears and the “bull and bears” for the sharks of Wall Street. 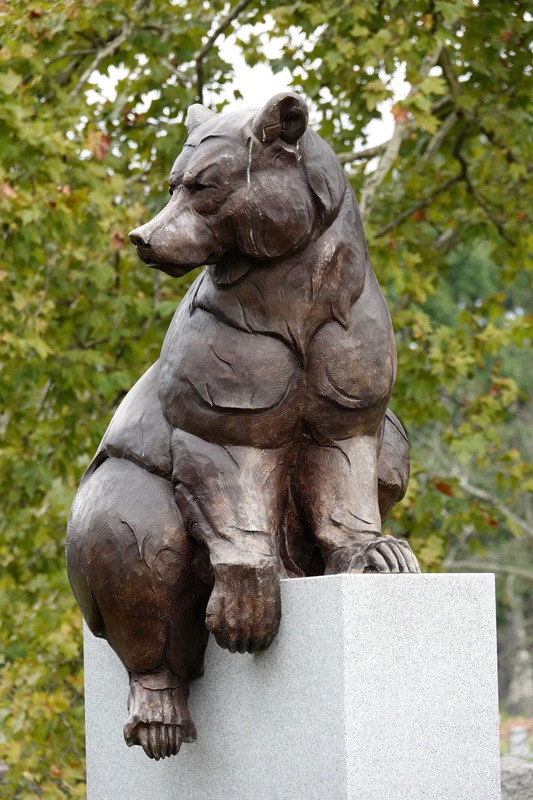 This metal beast was a tribute by Dan Ostermiller and dates to 2002. Can’t say I like it. Meanwhile, in the shadows and rather less bear-bastic: By a strange coincidence, the ground in front of these twins was littered with white feathers. 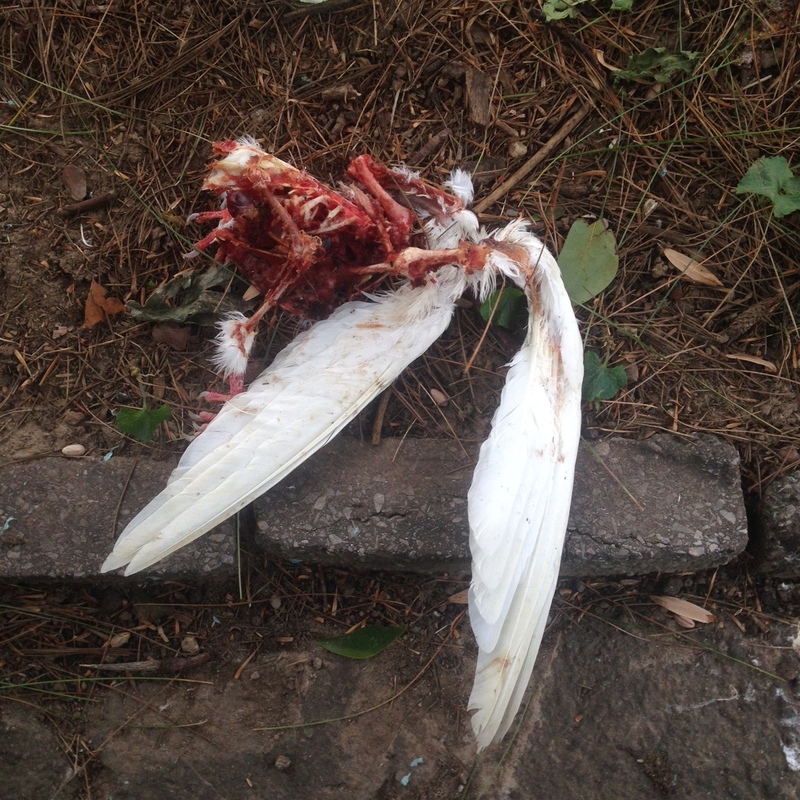 Somebody had been feasting on a “white dove,” actually a homing pigeon, a domesticated form of the Rock Pigeon (Columba livia). Captive bred for such horror shows as weddings, these birds are sitting ducks for raptors. Those dove releases are so sad. Why, people, whyyy? It gets worse: people release them at funerals, and,. what seems a new hideous trend, baby “gender reveal” parties, where dyed birds (pink for girls, blue for boys, originally enough) are released.